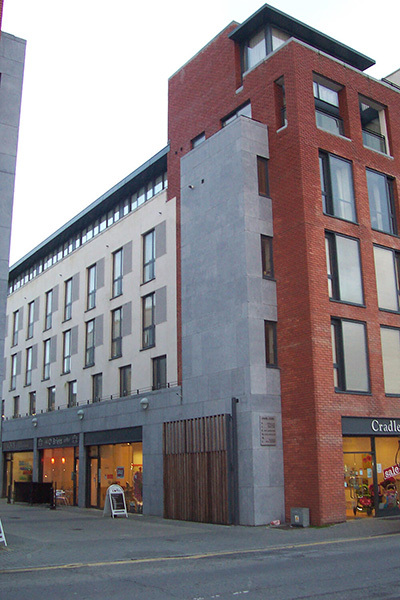 A pair of tall brick buildings are the frontispiece for a densely planned urban development in Limerick city. A shared courtyard is defined by shops, with apartments above. 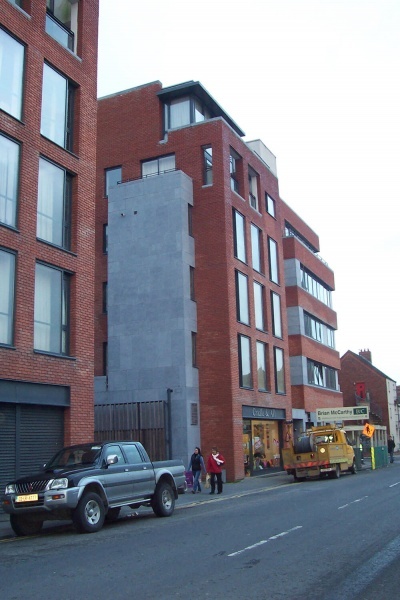 The material palette is indigenous to Limerick, red brick and cut limestone. 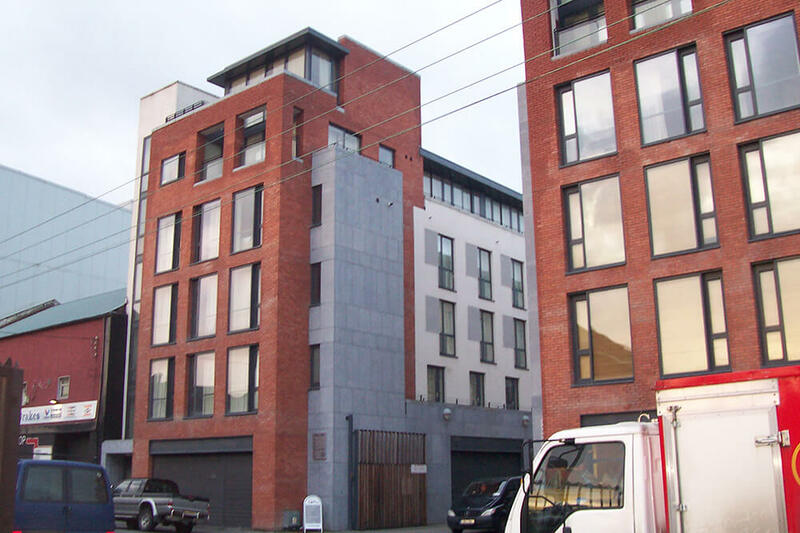 The apartments are self-coloured render. 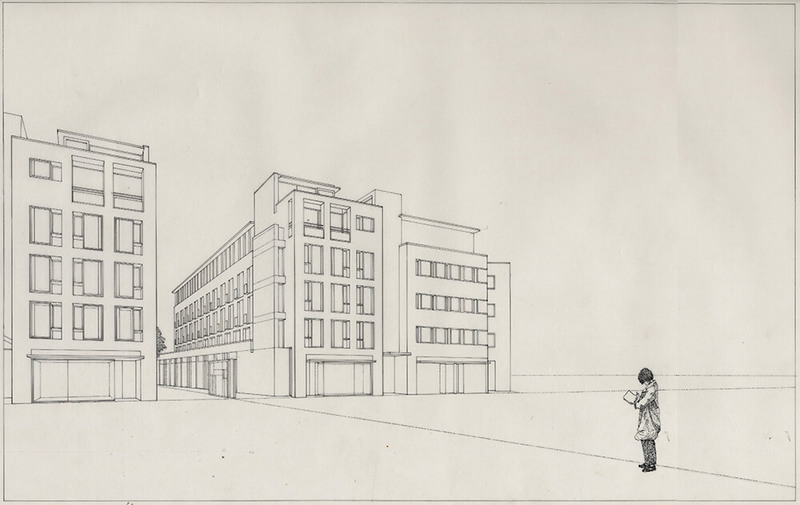 The proportions of openings in the façade are carefully composed to make an urbane intervention.